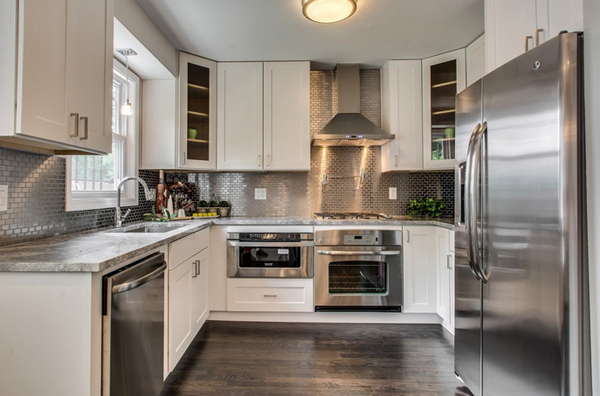 Silver is something we usually see in the kitchen, well – maybe not silver per se but somehow similar because of how silver and stainless steel look almost the same. 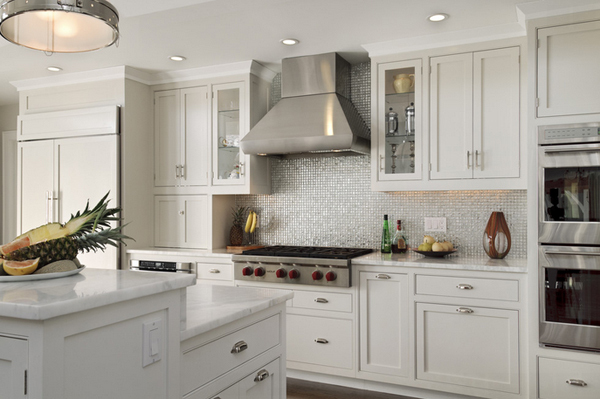 Today, we have a list of kitchen spaces that will showcase the use of silver in a whole new level – as a decoration or fixture in the kitchen. We will be showcasing 20 Splendid Silver Accents in the Kitchen what will surely somehow be subtle at times but will be as shiny as a silver should be. 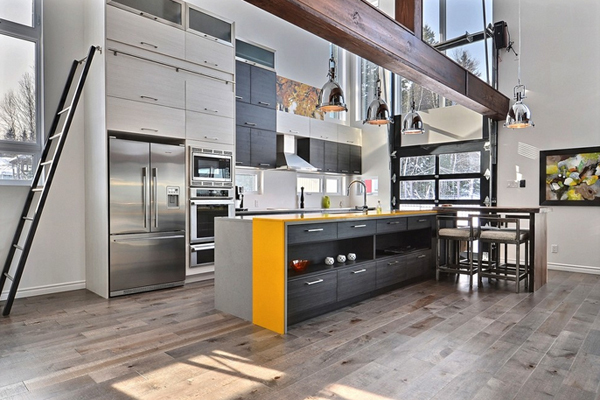 The kitchen spaces below is either decorated with silver decorations of have awesome silver backsplash or ceiling designs. Do check them out and be fascinated! 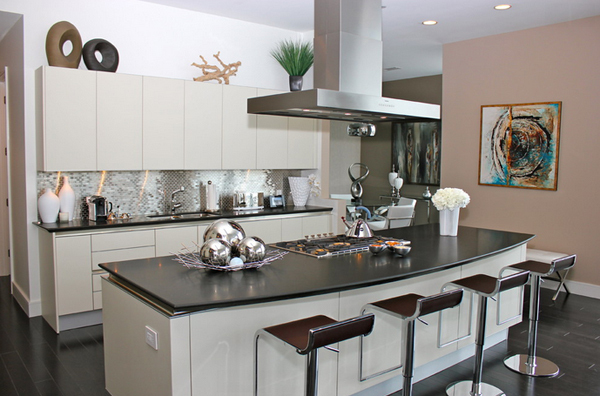 I did mention above that you will be seeing kitchen designs with silver-ish backsplashes – here is one example! Pretty awesome right? 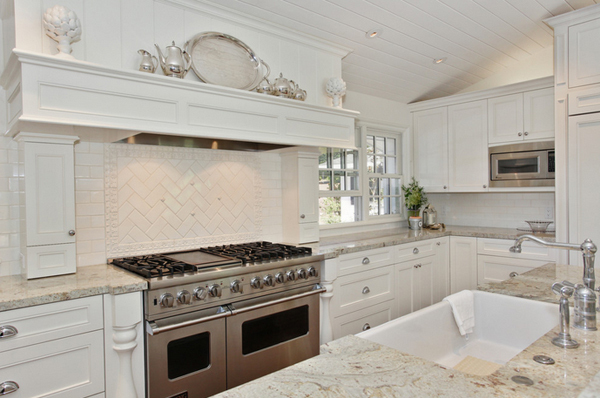 Another kitchen with silver backsplash; sure works because of all the wooden cabinets and island. 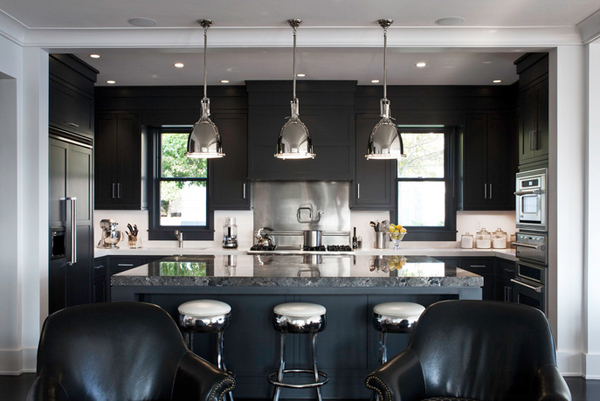 Silver industrial pendant lights that accentuated the dark wooden ceiling. 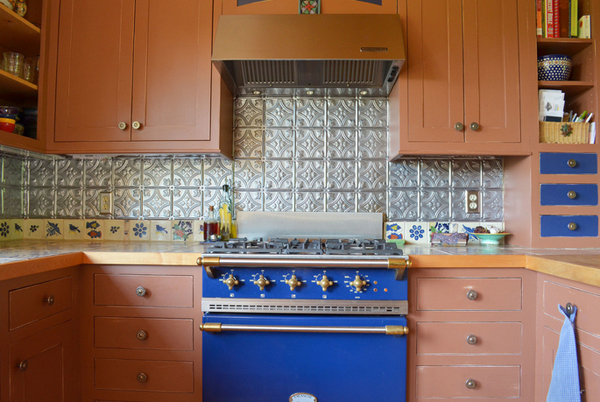 Who says you can only use silver plating as a backsplash? 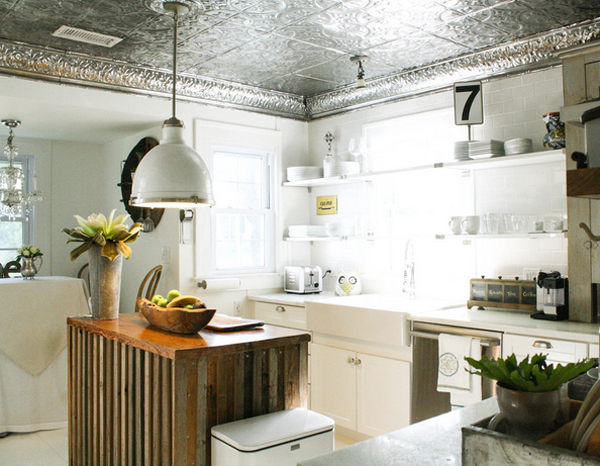 Sure works as a great ceiling fixture too! 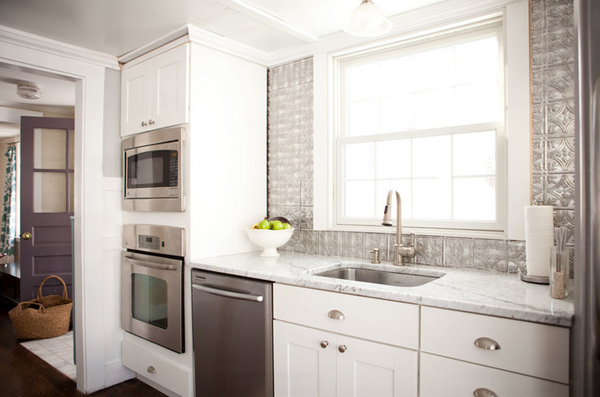 Silver backsplash against stainless appliance – works well. Look at the silver leaf decor on the left side of the wall! Pretty unique huh! 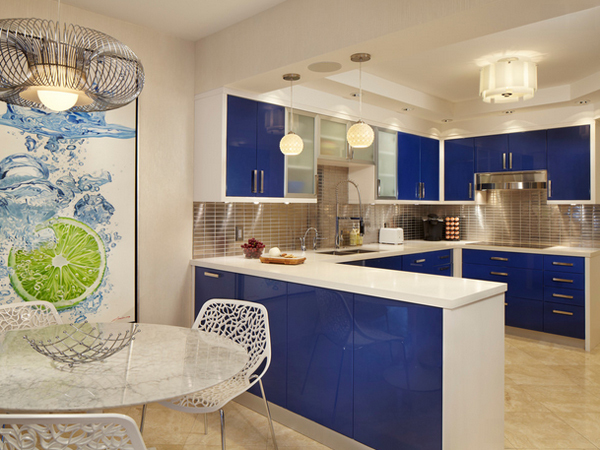 Silver/stainless colored island stools against a blue island; how about that? Pretty vintage to me! 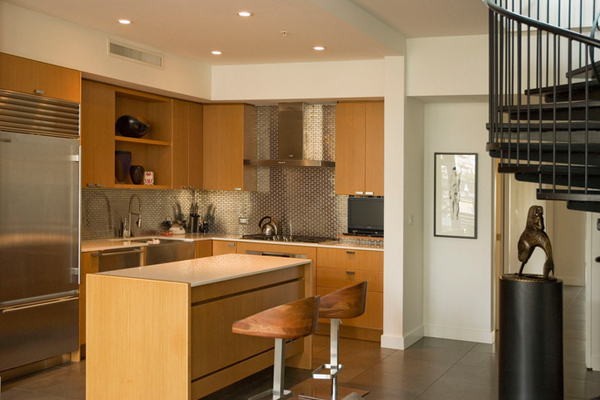 Stainless appliances and silver industrial pendant light fixtures! 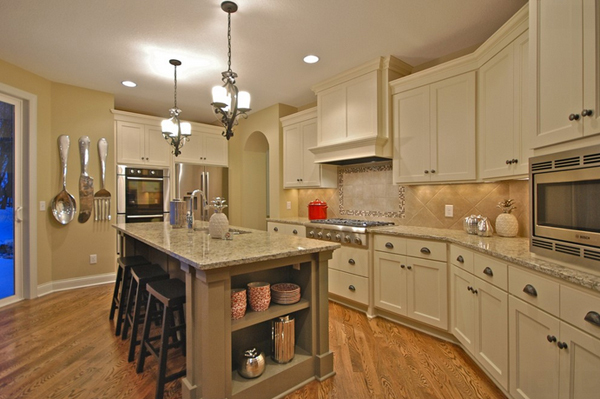 What can you say about this kitchen space, guys? 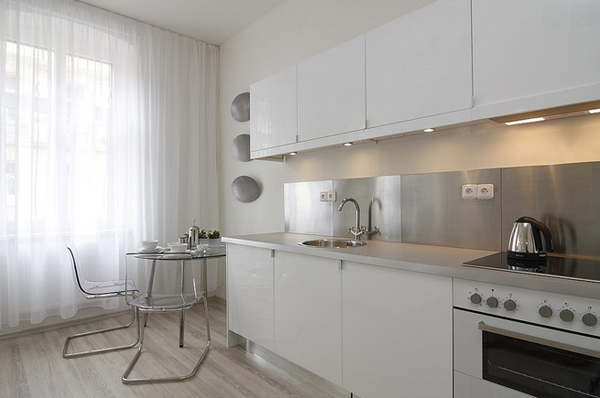 White kitchen cabinets and drawers and silver backsplash that cover the wall from the countertop to the ceiling. Aside from the backsplash, the choice of kitchen table set and decor sure is interestingly simple but pretty. 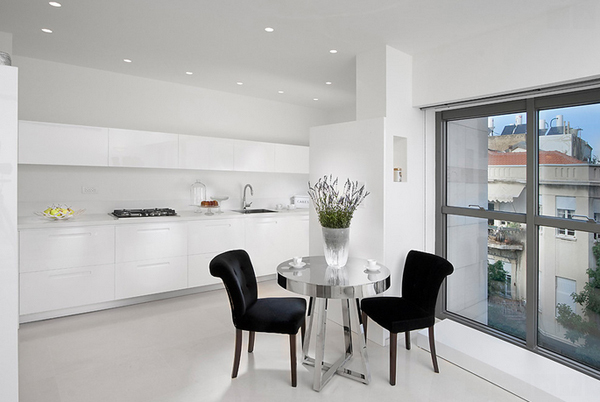 Totally love the table in this all-white kitchen! Adding the black chairs sure made the space prettier and classier. 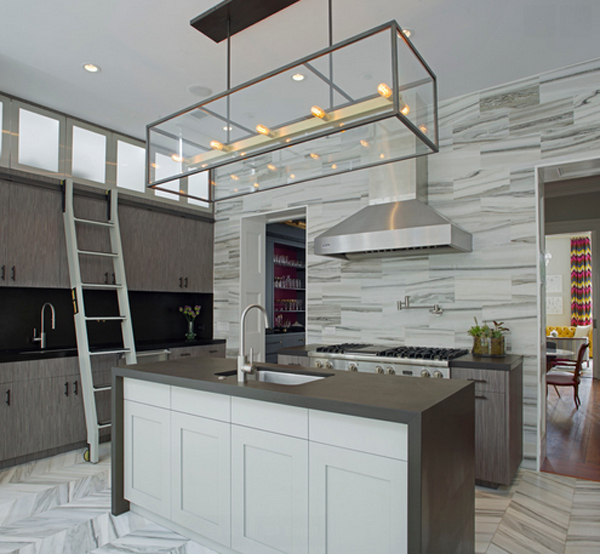 Details on the backsplash is super! I totally love it to bits! 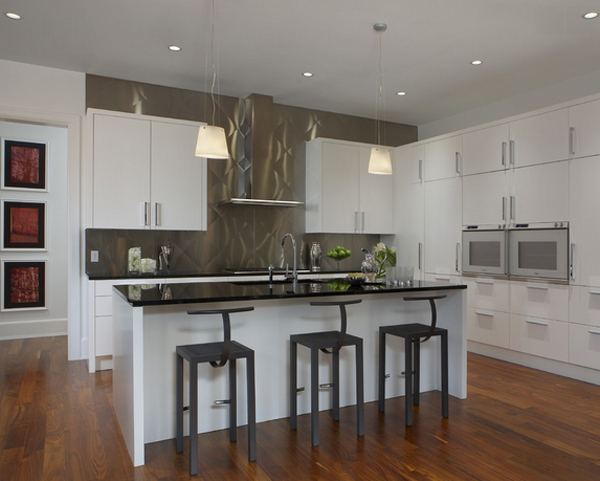 This backsplash is indeed a popular choice among all the silver backsplash designs available in the market today. 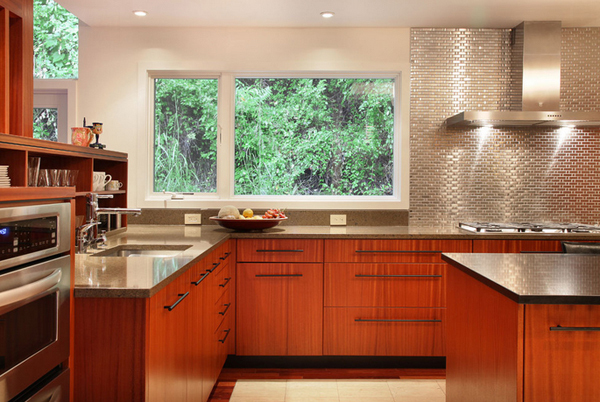 Stainless countertops and appliances sure match the backsplash. Silver china is displayed atop the range. 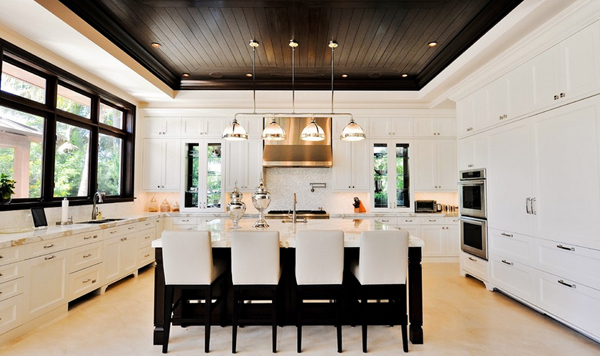 Simple accents that makes this kitchen extra beautiful. We have seen a lot of silver industrial pendant lights but this one is rather interesting because of the shape – I like it. How do you like displaying your large utensils on the wall? I like how people are still displaying cute trinkets on their kitchen when I can actually be the busiest area in the house! 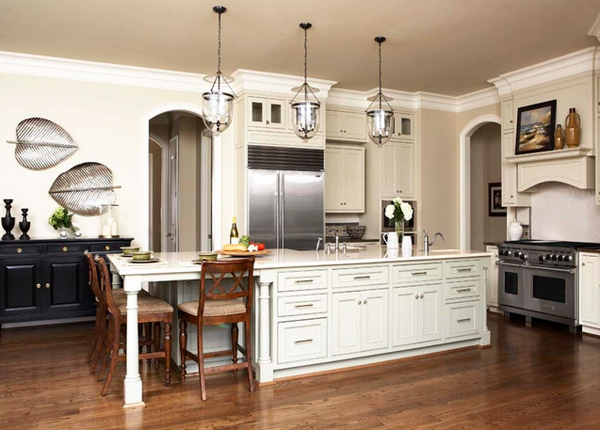 This is one simple kitchen space that showcase a lot of beautiful things for people who will see them! 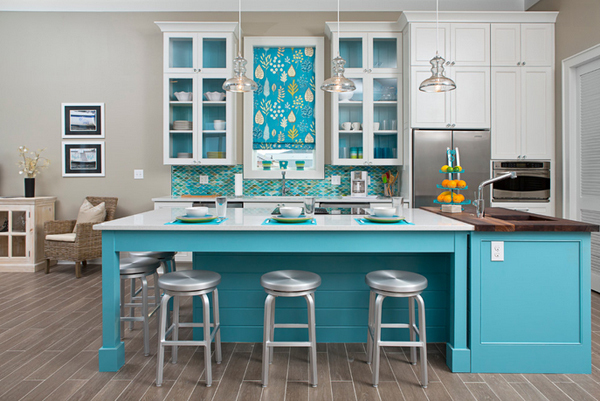 Another kitchen with a blue and silver color combination that works. 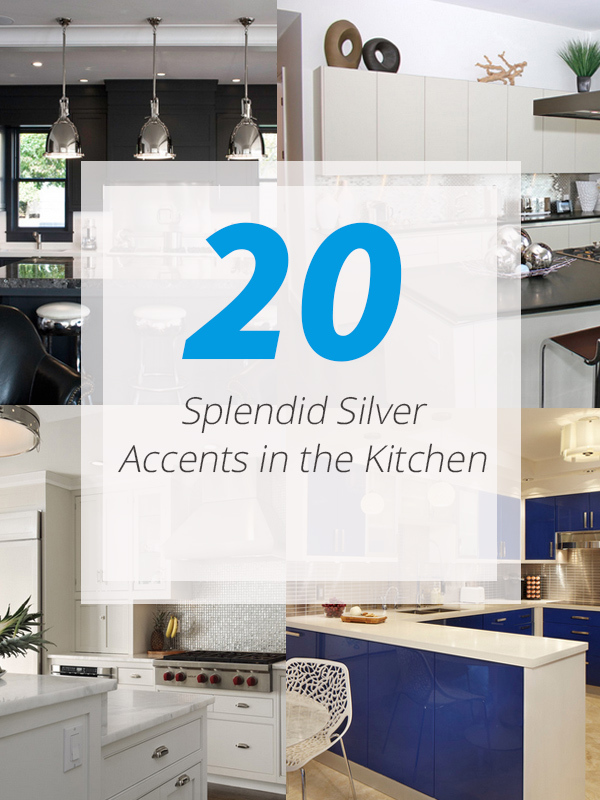 I’m pretty sure that this list of 20 Splendid Silver Accents in the Kitchen caught your interest too! The kitchen spaces were small and pretty and they were splattered with silver trinkets here and there – just enough to catch your attention.